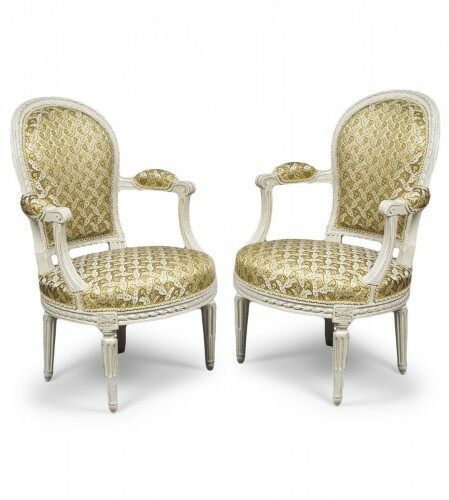 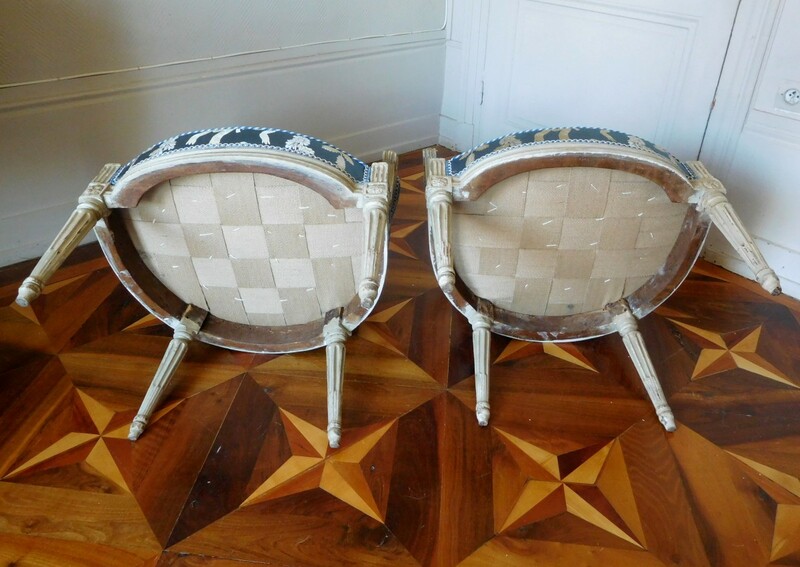 Pair of finely carved Louis XVI period armchairs. 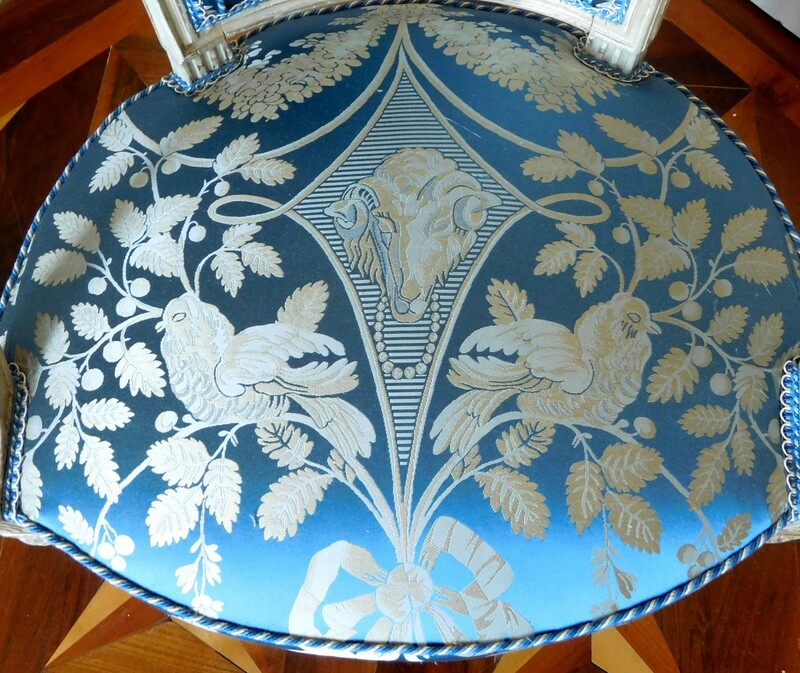 Superb Louis XVI style cover with rams. 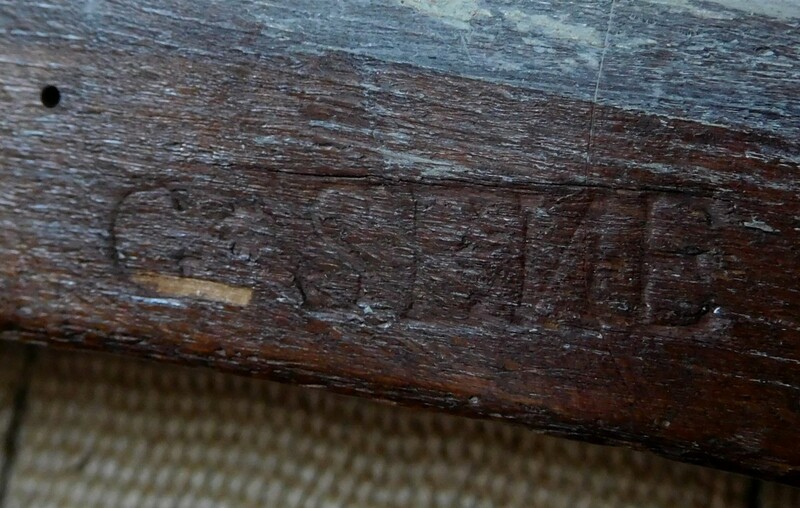 Stamp of Claude I Sené, Louis XVI period circa 1775-1780. 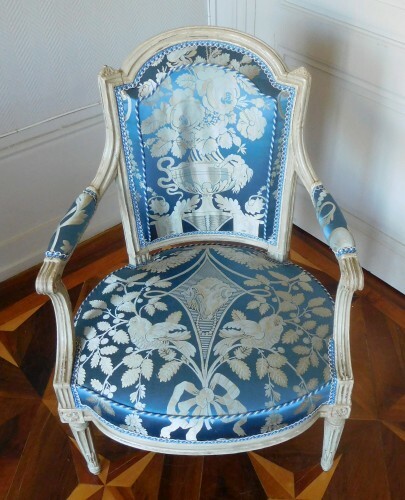 Claude I Sené, son of Jean Sené, was received at his master's degree in 1743. 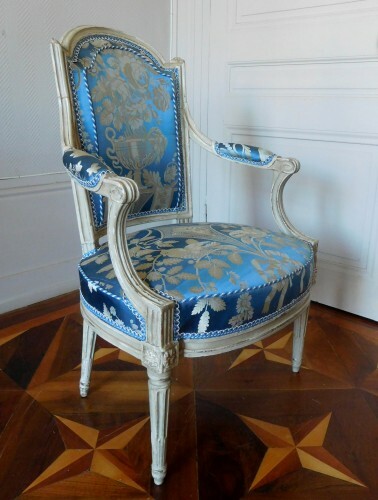 Installed rue de Cléry at the "Grand Saint-Georges", he is the father of Jean-Baptiste-Claude Sené, considered as the greatest French seat maker of the reign of Louis XVI. 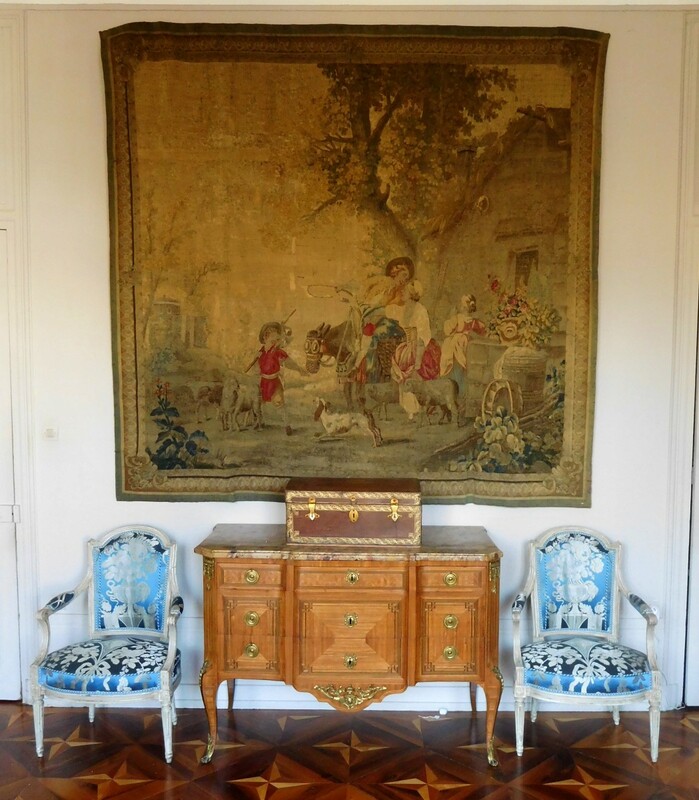 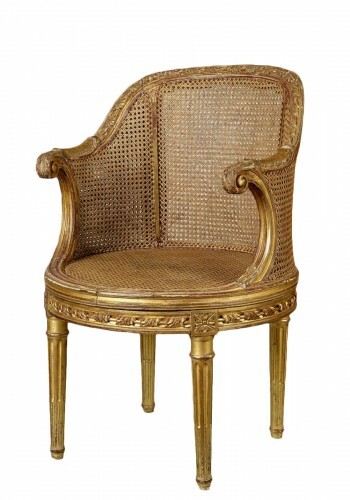 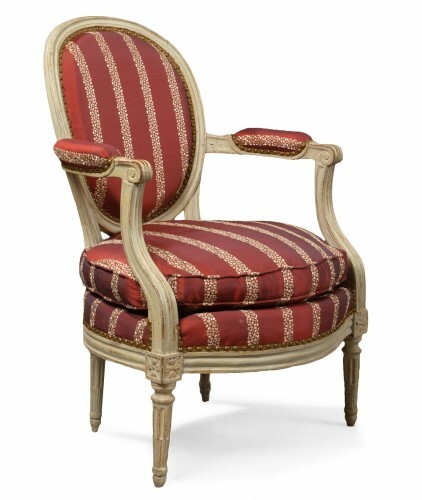 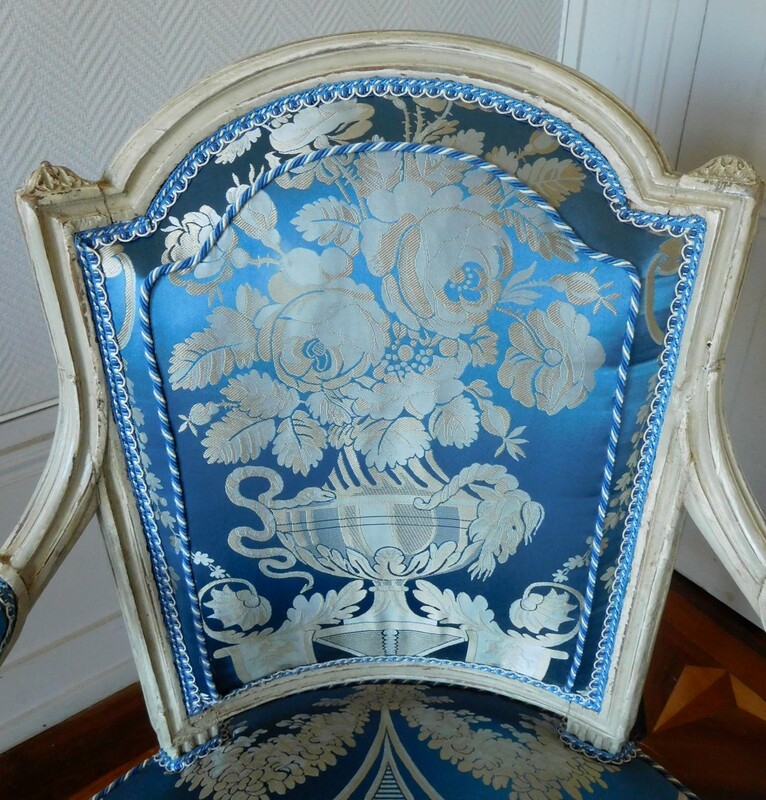 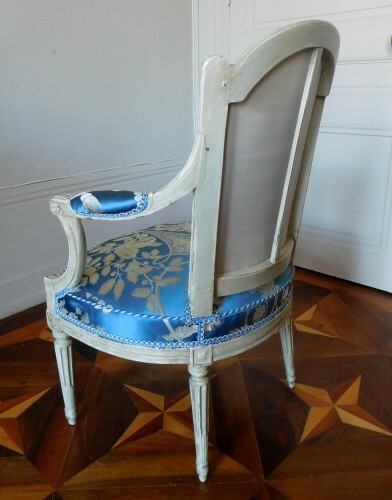 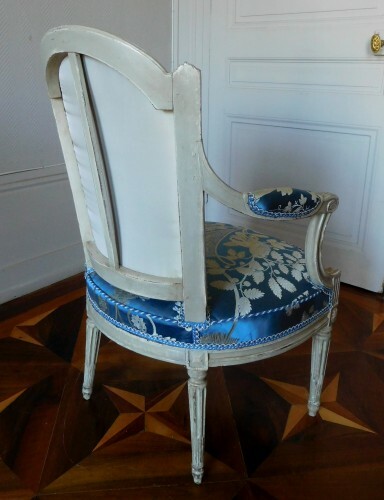 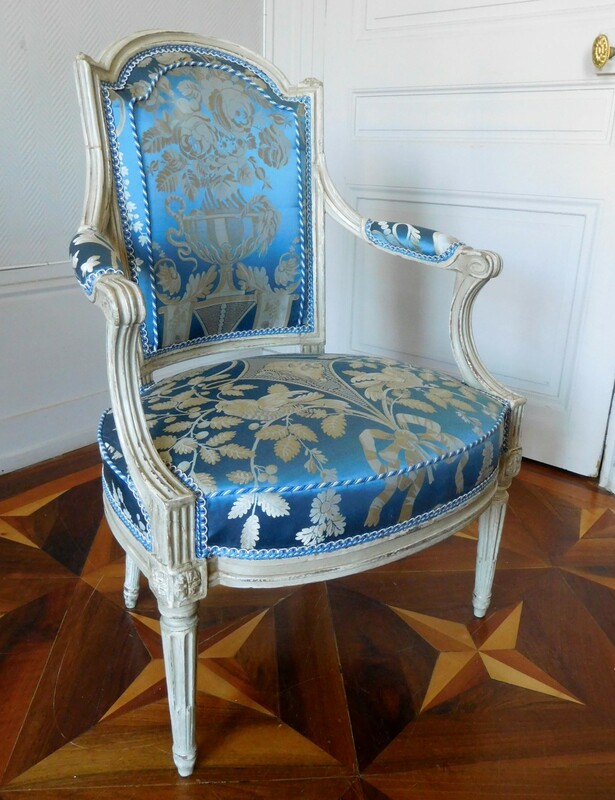 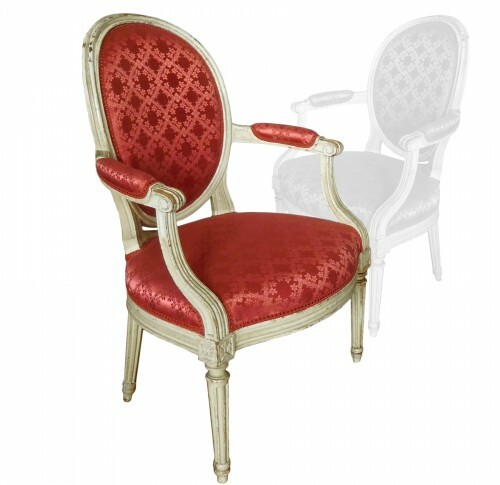 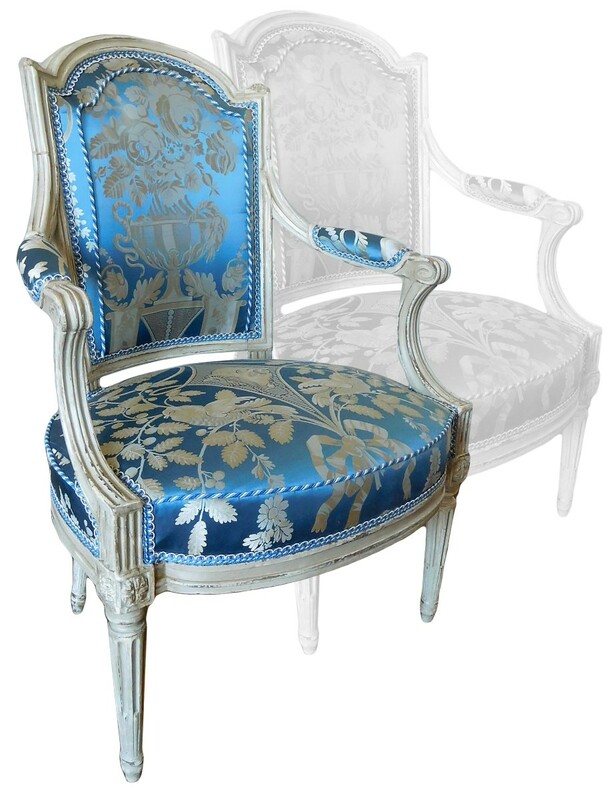 Claude I Sené trained his son and left very beautiful Louis XV seats, comfortable and elegant. 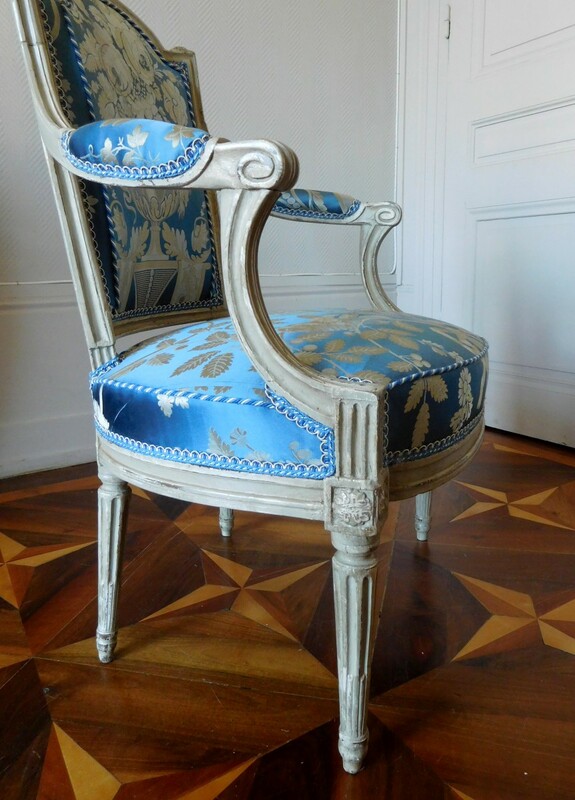 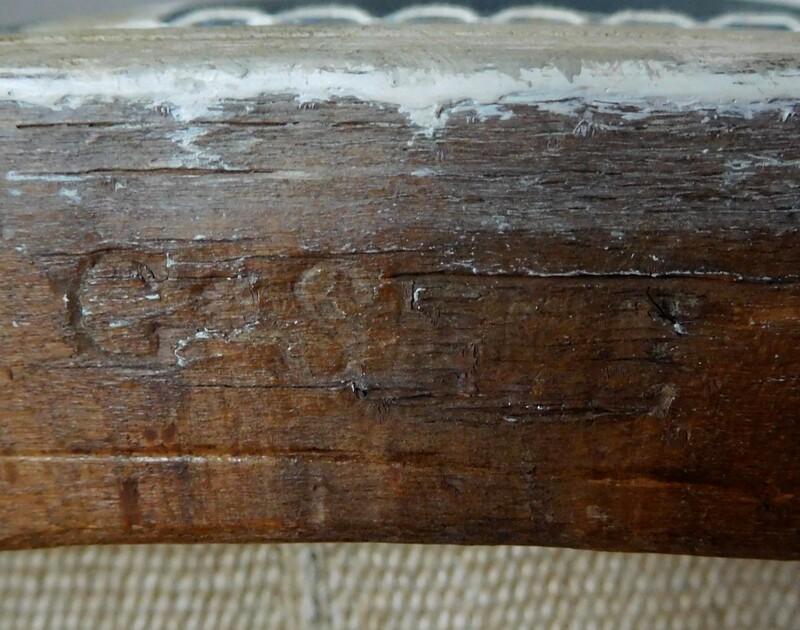 However, he made very few Louis XVI seats. 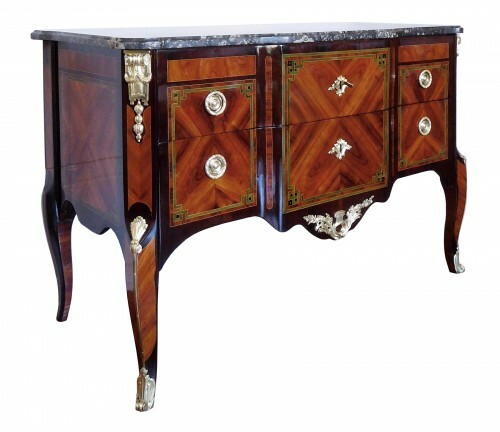 Claude Sené ended his activity in 1780. Our seats are therefore a very rare production of his end of career, typical of the 1775-1780 years. 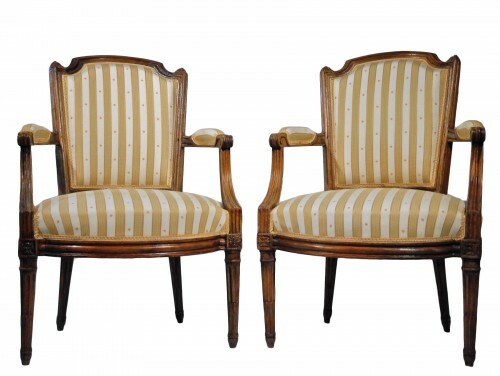 Our upholsterer has made museum quality finishes with coordinated cords and stripes. 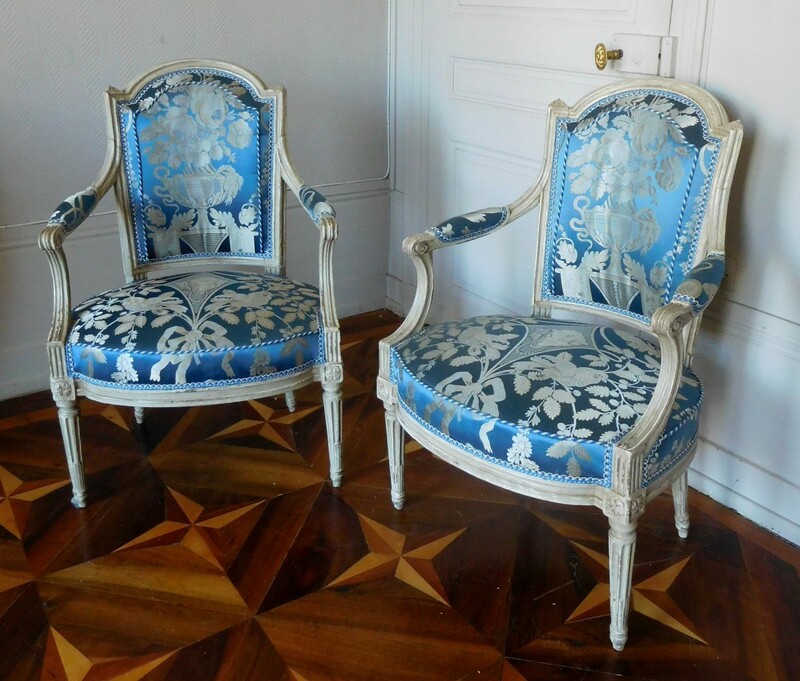 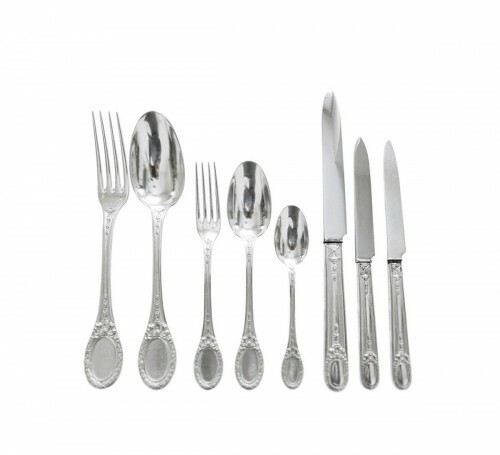 Excellent condition, fully restored. 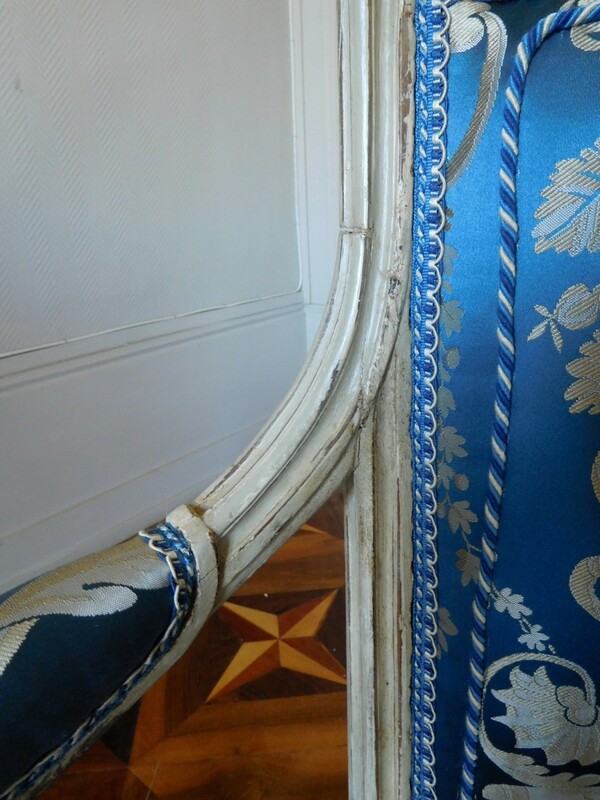 Healthy carpentry in very good condition, new silk. 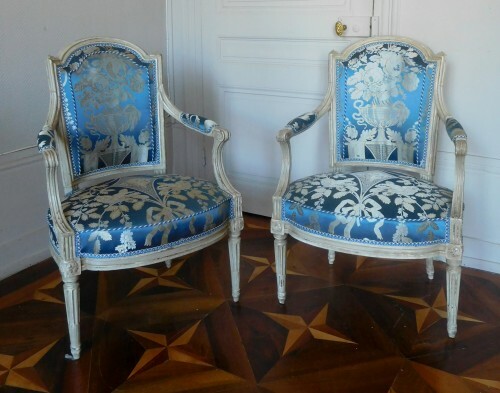 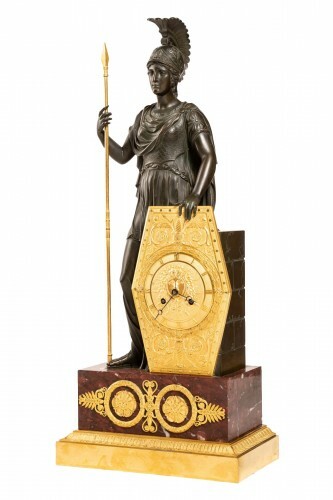 Very nice pair of museum quality collectors. 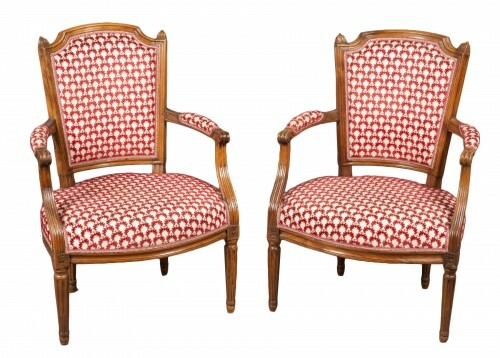 NB: we also sell a pair of Jacob stamped armchairs with the same fabric to create a larger seat. 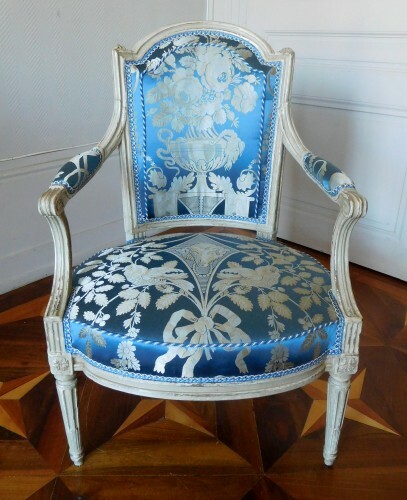 another smaller piece of fabric is availble to cover a small pair of chairs or make cushions.